Anyone seen that movie or read the book? I read the book a few months ago and Forrest and I rented the movie on Saturday night after a yummy impromptu dinner out with my parents. I honestly liked the movie better than the book but only because it seemed happier and less intense than the book. If you haven't seen or read it, please do! I highly recommend. The story is told by Charlie, a boy in his first year of high school. He is told that he is a "wall flower" and that he doesn't "participate". Now, no one could EVER accuse me of being a wall flower. I'm not shy, I will talk to anyone, and I'm ALWAYS participating. 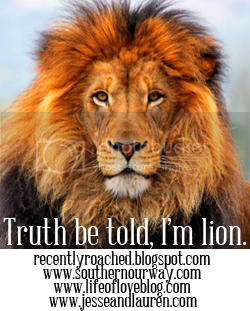 I have to remind myself sometimes not to over participate, to tell you the truth. That's just me--I'm outgoing and I want to get into and be a part of and experience as much as I possibly can. 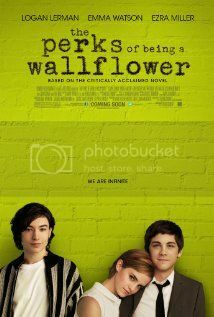 However, the movie made me start to think about the actual perks of being a wall flower. When you take a step back and really take in your surroundings, you probably get more out of them then when you simply dive in head first and plow through your day without stopping to enjoy it. Sometimes on trips I get so into our schedule and being on time and rushing through everything so we can make it to the next stop that I lose sight of the real point of being there. It's not about checking things off of your list (even though a completed check list thrills me to no end) but making the experience a part of you. Just like in groups, its not about how many stories you can tell or anecdotes you can share, but rather about having a good time with the people you love and getting to know them, even if it means letting someone else have the floor. Give and take, give and take. Stop and smell the roses, so to speak. Otherwise, you may as well just look at a photo of roses if you aren't going to take the time appreciate them fully, right? I mean what's the point? Take a breath, and take it all in. Maybe these wall flowers have it all figured out! 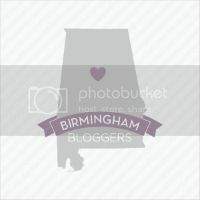 AND, in keeping with my non wall flower personality, I'm participating in the 2 truths and a lie link up with Southern Living, Our Way and others! Ok, so I'm going to list 3 facts, 2 truths and 1 lie, all related to "participating". Guess the lie and leave a comment. I'll reveal the truths tomorrow! 1. I was the president of my sorority. 2. I was the "sweetheart" of Forrest's fraternity. 3. I was a debutante. ooooooh...those are good ones! I'm going to choose #1. We are so in sync lately! Both of our husbands left us behind to go skiing and we've now both watched this movie in the last week! I really liked it, by the way. I know the answer to your two truths and a lie, so I won't spoil it for everyone. Hope you're having a great week!